Forest Hills Cat Hospital | A "No Bark Facility"
practice east of the Mississippi. The Forest Hills Cat Hospital was founded in 1974 by Dr. Jay Luger. In the mid 1970′s the idea of a cat’s only hospital was revolutionary because small animal practices were primarily dog-centric. During that period there were less than a handful of feline only practices. Nowadays there are more than 200 feline only practices in the US. Today the Forest Hills Cat Hospital is the oldest feline only practice under single owner proprietorship east of the Mississippi. Our special “No Bark” environment is designed to lower the stress levels of our feline patients. Our mission is to provide your cat with the finest in preventative care in order to maintain a high quality lifestyle and if your cat should become ill, our goal is to provide him/her with the best and most compassionate medical and surgical care available. 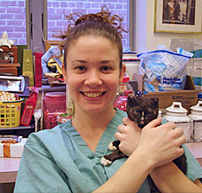 During the course of the last 34 years, the Forest Hills Cat Hospital has trained at least seven young men and women and inspired them to enter the ranks of the veterinary profession. We have also trained more than a dozen men and women via cooperative arrangement with the Veterinary Technology Program at La Guardia Community College, an internship program at Russell Sage Junior High School and other schools to begin careers as veterinary technicians. Some of the earliest and fondest memories of my childhood involve the pets that I have enjoyed over the years. Dogs and cats naturally but also lizards, chameleons, birds and fish. As a teenager I also owned five rabbits. At that time I believed that breeding my rabbits was my ticket to fame and fortune. I am embarrassed to admit but retrospectively happy to recall that I was unsuccessful in the “simple” enterprise of breeding rabbits. I graduated the New York State Veterinary College at Cornell University in 1969 fulfilling my life long ambition to become a veterinarian. In 1970 I adopted my very first cat who I named Vashti. Vashti was a beautiful black female short haired cat with gorgeous golden eyes. She was the very first cat for whom I was solely responsible. Vashti converted me from a dog person (I also owned a dog named Spock at that time) to an ailurophile (cat lover). I spent the first five years of my career working for other veterinarians in the metropolitan area, with both dogs and cats as my patients. In 1972 with my cat Vashti as my inspiration, I decided that I could be a much better veterinarian if I limited my practice just to cats. In pursuit of this objective, I devoted the next two years of my leisure time reading feline literature both professional and non-professional. In August 1974, I opened the Forest Hills Cat Hospital on Austin Street in Forest Hills. Shortly after I opened the office, my staff and I adopted our first office cat, Puss-Puss (not a name of our choosing) a 2 year old long haired female cat. Puss-Puss shared with us the early and difficult growing years of our practice and many, many lunches. Puss-Puss graced our office for nearly twenty wonderful years. Over the years both the numbers of our patients grew as did the size of our staff. In July 1998 we moved from Forest Hills to our current roomier and better equipped facility in Gendale. I am currently a member of the American Veterinary Medical Association (AVMA) and the American Association of Feline Practitioners (AAFP). For more than twenty five years I have been a member of the Research Committee of the AAFC and for more than twelve years, I served as chairperson of that committee. My wife, Dr Zita Goldfinger is also a Veterinarian. Unfortunately she has developed allergies to dogs and cats. Thus other than our daughter and son we have no mammalian pets in our home. However, of the non mammalian variety of pets, we own two Sun Conures and a Bearded Dragon. 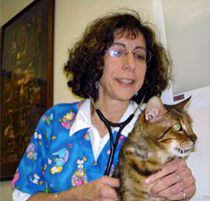 Dr. Helen Tuzio has been an Associate at the Forest Hills Cat Hospital since 1991.  She has graduated with Honors from Ross University, then completed a post- doctoral clinical year at Purdue University before entering private practice. She was appointed Associate Dean and Clinical Program Director of the Ross University School of Veterinary Medicine – a position she held from 1991 until 2003. Dr. Tuzio is a board-certified specialist in cat medicine and surgery having gone through an intensive process of credential approval, continuing education, publishing requirements and testing. There are still fewer than 100 Board of Veterinary Practitioners (ABVP) Certified Feline Practitioners worldwide. 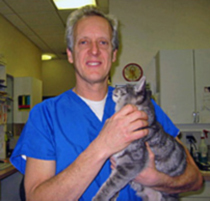 Dr. Tuzio is a Fellow of the American Association of Feline Practitioners (AAFP), A Fellow and Founding Member of the International Association of Cat Doctors (IACD), and a contributing author of several feline medicine textbooks. 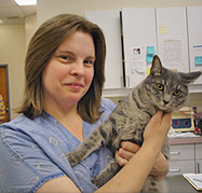 She is an active member of AAFP’s Feline Practice Guidelines Committee and served as their Chairperson from 2001 until 2005. She has coauthored the Senior Care Guidelines of both the American Animal Hospital Association (AAHA) and the AAFP, as well as the Guidelines for the Judicious Use of Antimicrobials published by the American Veterinary Medical Association (AVMA). She has contributed to the development of licensing examinations for veterinarians, veterinary technicians, and Feline Practice specialists. 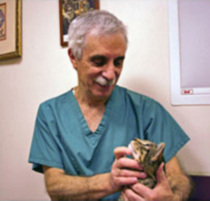 In the fall of 2007, Dr. Tuzio was appointed to the Examination Development Advisory Board of the National Board of Veterinary Medical Examiners (NBVME) – a position open to only 2 people in North America to oversee the development of the Feline section of the North American Veterinary Licensing Examination (NAVLE). She credits her first cat `K.C.’ who lived to the tender age of 23, with teaching her the intricacies of feline medicine. Dr. Nebel received a BS degree from Syracuse University and studied Veterinary medicine in Parma, Italy where he earned his DVM degree in 1984. He then did an internship at the Animal Medical Center in NYC and studied surgery with Dr. Martin DeAngelis who was the staff orthopedist at the Animal Medical Center for 13 years. 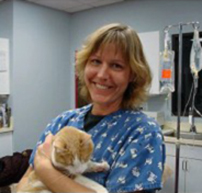 Dr. Nebel has been practicing veterinary medicine for over 23 years and has attained a broad base of practical knowledge in both medicine and surgery. His particular interests lie in orthopedics and cardiology and his love of cats brought him to the Forest Hills Cat Hospital where he has been on staff for over 11 years. Hi! My name is Liz. 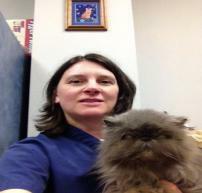 I am a licensed veterinary technician and have been working with Dr. Luger at the Forest Hills Cat Hospital since 1984. I graduated from LaGuardia Community College in 1983 with an associates degree in applied animal sciences. My interest in cats began at the age of 15 when I started volunteering in the cattery at Animal Haven. Ever since then I have been dedicated to caring for cats whether sick or healthy. I currently have four cats, Mousey, Minnie, Samson and Delilah. I look forward to meeting you and the feline members of your family. Hi! My name is Kelly. I’ve been working at the FHCH for 10 years. I graduated from LaGuardia Community College in 1998 with an associates degree in applied animal sciences. This prepared me to take and successfully pass the New York State Boards for veterinary technology. I get great satisfaction from my job helping animals when they are sick and comforting them when they are scared. As an owner of 3 cats and a dog, I know how hard it is for people to leave their animals in the hospital. That’s why we try extra hard to treat each cat as our own when they are in our care. My name is Tiffany. I have been employed at The Forest Hills Cat Hospital for over 8 years. I am pursuing a career in nursing. I currently have 7 children, 6 cats who are Simba, Ranger, Munchkin, Doopey, Squirt and Cookie and 1 dog Snoopy. Along the years I have rescued many cats and dogs, fostered them and found them wonderful homes and obviously kept a few along the way. I look forward to meeting you and your children soon. 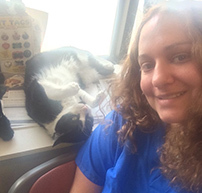 Hi my name is Stefanie and I have been with the Forest Hills Cat Hospital for a little over a year now . I am currently in school to be a licensed veterinary technician. I love all animals and can’t wait to work with them. I also have two spoiled cats of my own named Lucy and Harrison and will hopefully add a dog to our family as well. The Forest Hills Cat Hospital is located in their modern facilities on Eliot Avenue in Middle Village two blocks from Juniper Valley Park. The Forest Hills Cat Hospital is proud to be a part of the Middle Village community. 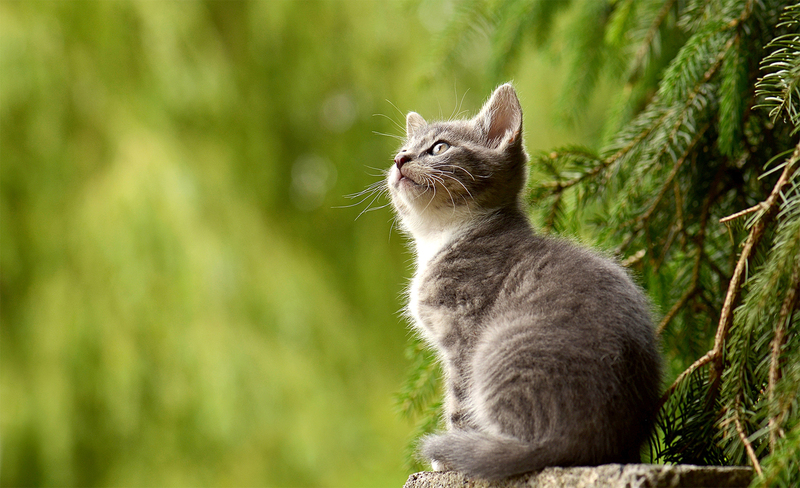 The Forest Hills Cat Hospital feels an obligation to our clients and community to provide helpful information on a variety of pet related topics. Check out the links below for frequently requested information.